Cristiano Pierazzuoli is recognized as one of the most masterful Italian goldsmith of his time, he’s an authentic Florentine goldsmith who uses ancient and traditional goldsmith techniques to handcrafts modern and contemporary jewels respecting the tradition of the history. Growing up in a richly creative environment and spending many hours, as a child, in his family’s jewelry workshop, Cristiano Pierazzuoli learnt this art at a young age. He works directly with his materials, usually 18ct gold and precious stones, without any preparatory drawings to enable him to capture the unique emotion of that moment in time, which is fundamental to the outcome of each work. 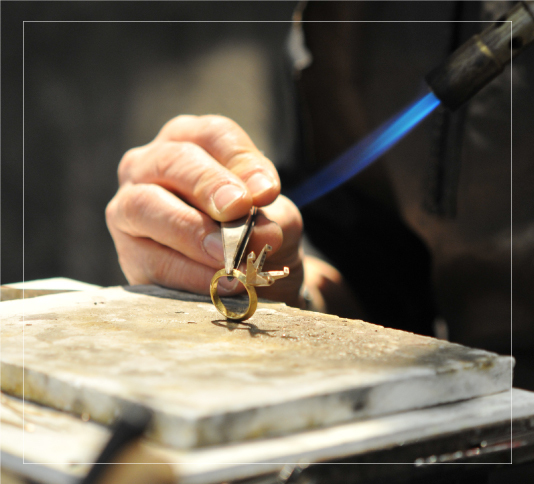 He uses his bank of knowledge, his skills, dedication and patience to inspire his jewelry and determine its end result. Wearing Cristiano Pierazzuoli’s piece is a new definition of luxury. It’s something different. Each creation is a statement piece not just in term of its aesthetic quality, but in the artistic heritage and long creative process that it represents. 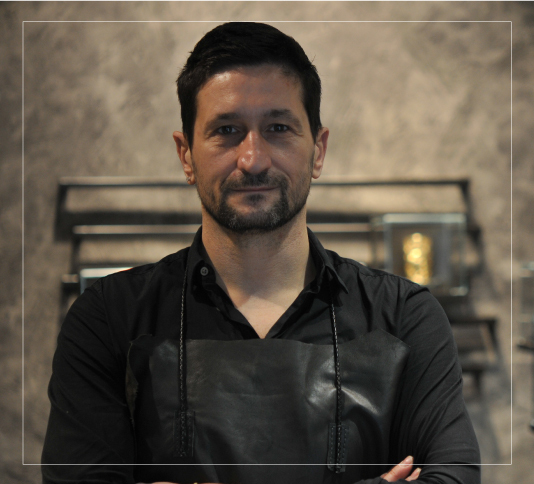 Admired for his exceptional skill, Cristiano Pierazzuoli has been invited to restore several jewelry works of national Italian importance in past years. He has also been chosen as one of the few goldsmiths at the service of the Vatican State, for which he creates sacred jewelry of great importance. One of the most important works is a solid gold Chalice realized for Pope Benedict XVI, now exhibited at the Vatican Museum of the Diocesan Treasury in Sardinia. All the jewels handcrafted by Cristiano Pierazzuoli himself, most of them unique and one-of-a-kind, are marked with his recognizable signature marks as a guarantee of authenticity. Discover new exciting models, special events and more.